David Franklin is deserving of the American Ambulance Association Star of Life recognition due to his hard work, dedication and leadership as a clinical field supervisor for Cataldo Ambulance. 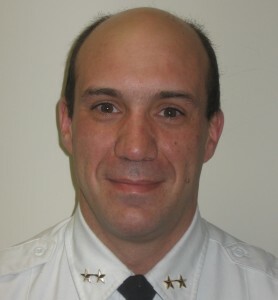 While there are a number of individual calls that represent his exemplary performance as a clinician and leader, the time, commitment and passion he has shown over the past year, a year where a massive Paramedic shortage plagued much of Massachusetts, are the main reasons he deserves this honor. In 2015, Dave was the on-duty supervisor almost every weekend. Traditionally, Saturday and Sunday are the most difficult shifts to fill and Dave was able to work his magic and kept Cataldo running through some very difficult times. His dedication was apparent, as he would often come in on his days off to assist in filling shifts. He contacted employees and moved staff around to keep our ambulances staffed. Through all of this, he continued to help mentor new supervisors, respond to multiple emergencies during his shifts, assist with ALS transfers, answer hundreds of phone calls, and handle all of the other managerial and supervisory responsibilities. His ability to do all of this, often on very extended shifts, while maintaining a courteous and professional attitude, has earned him the respect and admiration of almost every employee at Cataldo Ambulance. The leaders at Cataldo Ambulance are honored to nominate him for this distinguished award.